A new way to make eggs for me. I'm bookmarking this. I love eggs. Oh my goodness! This is a dish my mother made for me and my siblings when we were little. We thought it was just wonderful and we loved the name. She made the dish seem so glamorous. Thank you for posting this recipe. Sounds fun. How about adding some Tamed Jalapeno's??? Sound fun? I just discovered them. I don't like HOT but I love some zip and this might be a fun place to add them in. So many ideas for this recipe to make it our own. I was wondering if there was a link to look at the index of recipes in your cookbook? I tried on amazon, but can't look inside the book. I want to order several copies for my sisters, but wanted a general idea of the recipes that were included. love your site and the memories it brings back. Ang. .There is no available link. We have a wide range of recipes that every cook wants to have for her kitchen. 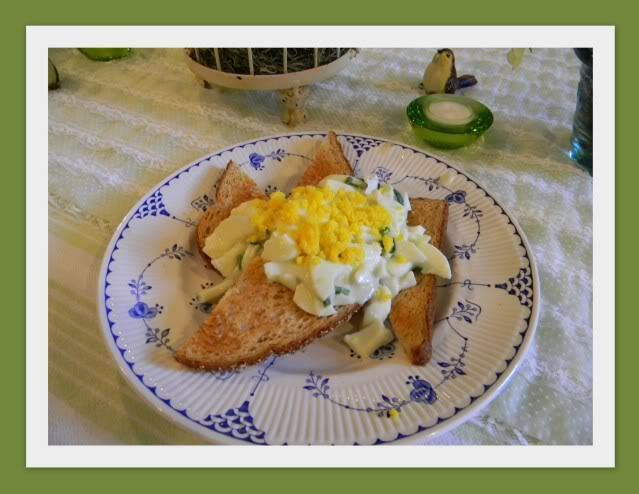 We also showcased the Mennonite Recipes since that was the focus of beginning the blog. Your book arrived in the mail today! This dish has always been a family tradition. A special breakfast dish. We press the hard boiled yolks through a small sieve to make them more "pollen" like. Truly tasty. I was just thinking about this recently. I haven't made it in years, but my grandma always made it for us growing up. I agree, the white sauce can be a bit bland, but I sometimes add, as above, prepared mustard, dry mustard, worcesteshire sauce, or tabasco sauce (singly or in any combination). I especially loved it with "tater cakes," which are leftover mashed potatoes filled with diced onions & green onions and a little flour, then fried. That's "tater cakes" as opposed to potato pancakes and latkes. One which may be more of a pancake batter with mashed potatoes added, the other usually being made of grated potatoes. I think I'm going to make goldenrod eggs for breakfast tomorrow! I've always known this to include crumbled bacon with the egg yolk. So delicious!